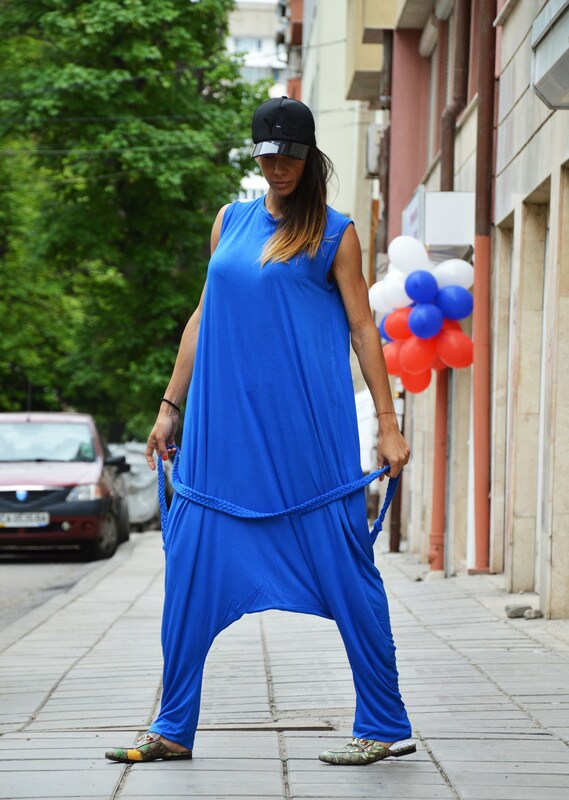 Deep blue sleeveless jumpsuit with cleft back. Soft , comfortable and wide falling clothing. 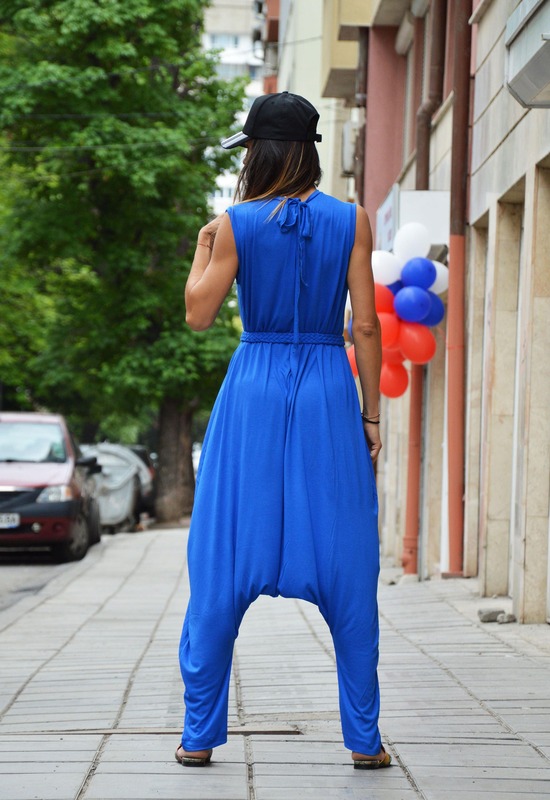 The jumpsuit can become a different model by hand woven belt of the same clothing. Suitable for party , lunch, dinner or walk.